Bellevue Hospital, on New York City's East Side, occupies a colorful and horrifying place in the public imagination: a den of mangled crime victims, vicious psychopaths, assorted derelicts, lunatics, and exotic-disease sufferers. In its two and a half centuries of service, there was hardly an epidemic or social catastrophe - or groundbreaking scientific advance - that did not touch Bellevue. As medical technology advanced, "voluntary" hospitals began to seek out patients willing to pay for their care. For charity cases it was left to Bellevue to fill the void. The latter decades of the 20th century brought rampant crime, drug addiction, and homelessness to the nation's struggling cities - problems that called a public hospital's very survival into question. It took the AIDS crisis to cement Bellevue's enduring place as New York's ultimate safety net, the iconic hospital of last resort. Lively, pause-resisting, fascinating, Bellevue is essential American history. 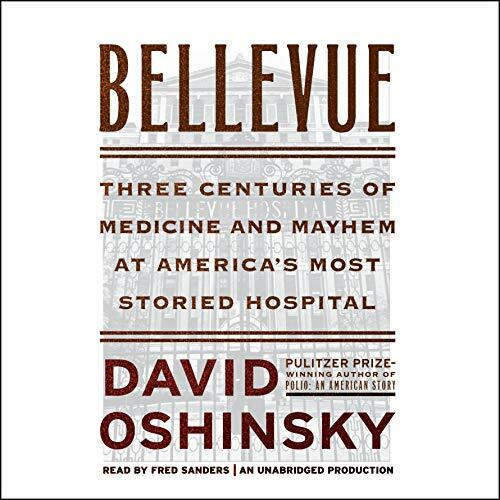 I found this book “Bellevue: Three Centuries of Medicine and Mayhem at America’s Most Storied Hospital” absolutely fascinating. 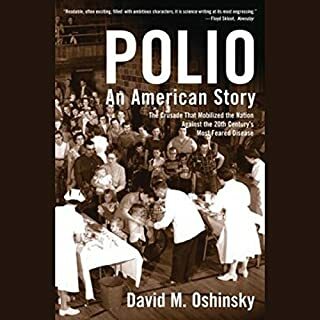 Oshinsky not only tells the sweeping detailed history of Bellevue but also the history of American medicine, nursing, public health, environmental health, medical research/ education, and public hospitals. The author states it was one of the first hospitals starting in the 1660s. It is famous not only as a mental hospital but as one of the finest emergency and trauma centers in the country. It has a long history as the leading infectious disease facility treating yellow fever, tuberculosis, AIDS to Ebola. Steven Forster died at Bellevue and Francis Ford Coppola filmed scenes of the Godfather in its morgue. Oshinsky tells about the hospital’s role during the Civil War caring for the most Union soldiers of any hospital. The author tells of advances in medicine, nursing and ambulance service during the Civil War. Bellevue was the first hospital to have ambulance services starting after the Civil War. They also designed the first horse drawn ambulance used in the City. Through affiliations with medical schools, it became the largest teaching hospital in the country and a leading research facility. Bellevue is the leading research facility on AIDS. Bellevue treats more than 600,000 patients annually. The book is well written and meticulously researched. Oshinsky writes in a clear, concise way that is easily readable. Oshinsky is a Pulitzer Prize winning journalist. This is the first book I have read by Oshinsky. I am looking forward to reading more of his books. Oshinsky builds a strong case for the need of public hospitals. I highly recommend this book. Fred Sanders does an excellent job narrating the book. Sanders is a stage actor and audiobook narrator. My commute is awful. It's not terribly long, but I dread it. 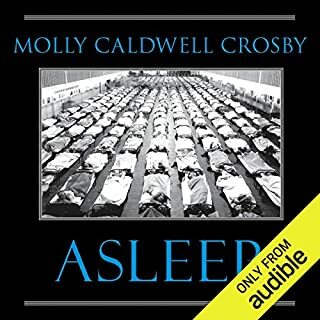 Audible has helped a lot, and no book has captivated me as well as this one. Fascinating. This is more than the story of Bellevue or of medicine. It uses Bellevue as a compelling "character" all its own, with a deep influence over medicine and societal change over the course of over 200 years. It's well-researched, but it is not a dry read or performance. In fact, I found myself sneaking time away to read a chapter or two at a time. The hospital - and medicine itself - opened its doors to eccentric patients and physicians, cutting-edge and barbaric treatments, expensive construction and bureaucratic neglect. 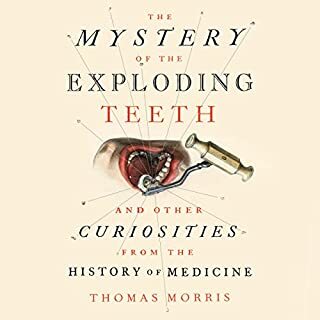 If you're at all interested in New York City, history, medicine, or any combination, pick up this book! This book was fascinating and reminded me why I want to go into medicine. The devotion of Bellevue's staff during crisis after crisis to the most at risk groups - the indigent poor, homosexuals, immigrants, homeless and mental ill patients - is inspiring. The author definitely covers the warts of the hospital too, but he has decidedly positive view of Bellevue's 200+ year history. The narrator had a pleasant voice, not boring but not overly dramatic either. 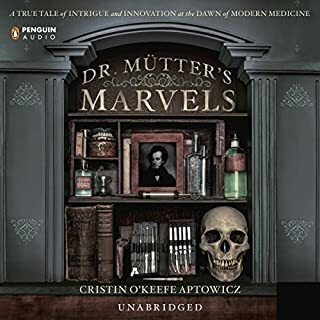 I ended up buying a copy of the book for my mom for Mother's Day (she loves medical history too). Lastly, if you are sensitive to animal suffering, there are two chapters that may upset you; one about a scientist who drowned and poisoned dogs to determine effects on the brain and body as the coroner/medical examiner, and about Hurricane Sandy when many lab animals drowned during the flood. The author is direct though not unnecessarily graphic (the hurricane sandy portion was more manageable to me than the first) so skip those bits if you think that will bother you. I only ever knew of Bellevue by the news reports on TV and newspaper headlines, the rest of the story and the long history of this institution is absolutely fascinating. Bellevue has affected our daily lives in more ways than most of know. This is just a great story, even if history or medicine are not your main interests. I thought this was an excellent and interesting book, and I was fascinated at how much the history of the hospital followed the history of the city, and vice versa. I don't think a listener even has to be involved in the medical profession - even those interested in the history of the city will find it worth their time. I had no idea that so many medical firsts originated at Bellevue, and the hospital was known for great quality even while the building seemed to be falling down around them. 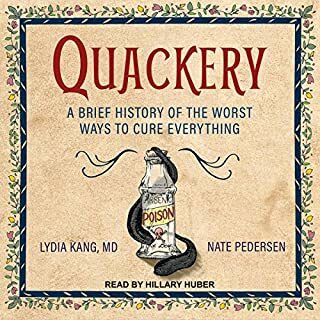 I love history, and I love medicine, so of course I loved this book. 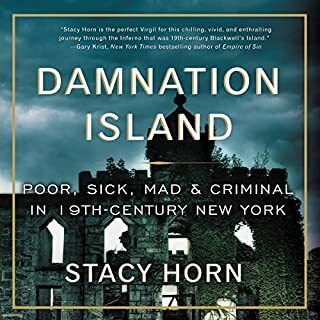 Using the oldest hospital in New York as the framework, this book explores the history of medicine, 17th century until today. I learned a lot from this book and loved every minute of it. The author and narrator did a great job! An intriguing and factual history of the United States first hospital. Hearing the history makes one appreciate how far medicine has come in three centuries. Thought it would be more actual stories. Basically a history of the hospital. Could have just read Wikipedia. This book focuses on the history of Bellevue Hospital, but really covers a lot about the history of medicine, particularly in the 19th and 20th centuries. It is very interesting. However, I found it to be very long and bogged down a bit in some places with too much detail. Also, it bounces around some, making the chronology a bit hard to follow, but maybe that couldn't be helped.